4:19 p.m., Feb. 5, 2016--Rhonda Kay Martell, a University of Delaware extension agent with the Delaware Military 4-H program, died on Jan. 24, after a courageous three-and-a-half year battle with cancer. She was 54. Ms. Martell’s passion for service resulted in her decision to pursue a career in serving youth through Delaware 4-H, to which she devoted the last 16 years of her life. She directed several 4-H youth programs in Kent and Sussex counties. Her proudest achievement was building the Delaware Operation: Military Kids Program within the University of Delaware Cooperative Extension, for which she was recognized several times nationally and named a Delmarvalous Woman in 2011. Ms. Martell was born on Aug. 23, 1961 in Milford, and, at an early age, began a life of service through her involvement in the Houston Cardinals 4-H Club, where she won several county and state awards. Her mother served as a 4-H leader, which inspired her to commit her life's work to the Delaware 4-H Program. 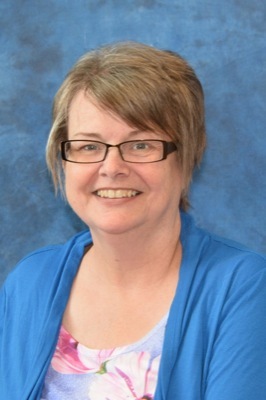 Michelle Rodgers, associate dean of UD’s College of Agriculture and Natural Resources and director of UD Cooperative Extension, said that Ms. Martell was “a passionate extension educator who was dedicated and hardworking and always looking to the future. The 4-H military program has a great legacy that she leaves and she will be greatly missed." Ms. Martell was a member of the Milford High School class of 1979, where she graduated one year early to begin her bachelor's degree studies. She ultimately obtained her bachelor's degree in human resource management from Wilmington University. In addition to 4-H, she worked with organizations such as the Diamond Dance Company, Junior Achievement, Girl Scouts and the Miss Delaware Scholarship Organization, as well as the Kent County Links and the Kent County Leaders Association where she served as a former president. She is survived by her husband of 35 years, Raymond Ronald Martell; her daughter, Kayla Martell, and her husband Kevin Gillis Jr.; her siblings, Richard Herbert Kenton Jr., and Regina Kenton Farnsworth and their spouses; as well as aunts and uncles, nieces and nephews, many cousins and all of her 4-H family. A private funeral service and interment have been scheduled for the family. A public Celebration of Life Memorial Service will be scheduled in the coming weeks. For details, check social media and the Rogers Funeral Home Website for details. Online condolences may be left at this website.